A new website has been launched to share news from the organisations on the government's strategic partnership programme for voluntary sector health organisations. The new website includes news from the organisations and coalitions in scheme as well as information about the programme. A lot of the work on the programme is done collaboratively, just like the new website. Our other projects include work with a wide range of the other strategic partners. 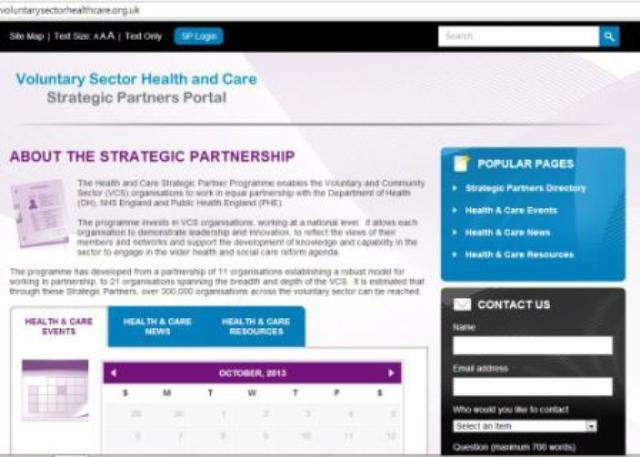 The new voluntary sector health strategic partners website is at: www.voluntarysectorhealthcare.org.uk.